Find Rugby Now » Latest Blogs » Should Amateur Players Treat Rugby as a Career? Should Amateur Players Treat Rugby as a Career? It has recently occurred to me that I have been playing rugby in some shape or form for over 12 years. Aside from my studies, this is the longest commitment that I have had in my lifetime apart from my family – it is far longer than any of my jobs, my relationships and probably most of my friendships. This got me thinking. Most amateur players see rugby as a hobby that they do a few times per week to keep fit and hang out with friends, but are we missing something by diminishing the importance of the sport in our lives – should amateur players treat rugby as a career? I propose that all amateur rugby players begin to treat their rugby as a career with a focus on rugby skills and laws as a foundation, a long-term career view and effective management and development – and in the case that we suffer an injury we act professionally and fight our way back to health. Like any career, the key to a successful rugby career is starting off right by acquiring the necessary skills to succeed. In a job this might include getting the right qualifications, obtaining the right degree, countless nights working overtime and working up the corporate ladder. In rugby, this includes mastering catching, passing, decision-making, running lines, etc. through hours and hours of training and match practice. It also includes obtaining a good level of understanding of the laws and referee calls. Knowing that kicking the ball straight out from your 22 will lead to a line out where it goes out, taking a quick penalty, throwing the ball quickly in from a line-out before the opposition has an opportunity to set up or calling mark can be vital decisions in a game. If you don’t know all of the laws, you are missing an important element of the game. This is key whether you start rugby on a mini/youth level or as an adult. Without a good understanding and mastery of the basics, one’s rugby career can never be maximized. One needs only to look at the highest levels of rugby to see the importance of mastering these skills and laws by the 2015 Rugby World Cup Winners, the New Zealand All Blacks. The skills possessed by their players are exemplary – Dan Carter’s kicks, the receipt of the high ball by the back three, the precision of the passing by all players (including forwards), kicking mid-play, ability to predict positioning of fellow players, the list goes on and on. 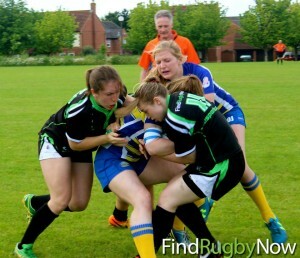 Whether a player goes on to play rugby for their county, region, country or local club, it is vital that player’s focus their early rugby career on practicing and mastering the basics. I think there is a real benefit to viewing rugby as a career for amateur players because it allows both the players and coaches to look beyond the immediate situation and see the bigger picture. Let me give you an example. If a player is injured in an important match and the score is level, it is easy for both the player and the coach to think – “there is only 15 minutes to go and this is such an important match…just keep playing.” However, this is very short-term thinking and may lead to a bigger injury for the player down the line. I know firsthand the detriments of not seeing the bigger picture. I played in a rugby match four years ago with a twisted ankle because the coach begged me to play and ended up in hospital needing surgery several months later. I had to see a physio for months and couldn’t play rugby for over a year. More importantly, this injury continues to affect my rugby career to this day. I really wish I could go back to that day and tell myself not to play in that match – regardless of the fact that without me the team would have been short one player. The coach should have never asked me to play in the first place. Would a professional rugby coach have put a player in that situation? It is unlikely as they would have evaluated the long-term consequences for that player / team if the player was injured. On reflection, it wasn’t even an important game – just a league match. Winning it would not have changed anything, but it changed the course of my sporting career. Rugby players and coaches are known for their tough mental and physical resilience and “just getting on with it / playing through the pain”. However, if we viewed rugby as a career, players and coaches could better manage players and understand that we must act in the interest of the player long-term. Missing one or two matches is worth it if it means that the player will be able to have a longer career. Similar to our working careers, it is vital for all players to manage their careers and continue to grow and develop. What do I mean by that? Amateur players should continually reflect on their rugby career and analyse the options available to them – whether that is progressing their game to a higher level, transitioning to a non-contact form of the game or changing positions. 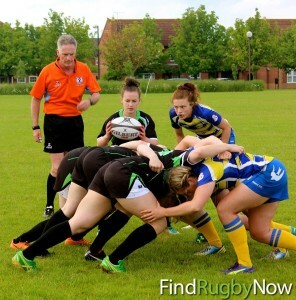 For example, as we get older we may not be able to commit to training due to other commitments so we need to be realistic about our future prospects playing for the 1s and make a decision to play for the 2s or switch to refereeing on the weekends so as not to give up all together. If we experience setbacks in our careers on the job, we are forced to adapt and fight our way to where we want to be. I think this same mentality should be applied to our rugby careers. If we really want something – we should do everything within our power to achieve it. Let’s take injuries as an example. Injury and set backs are a part of rugby life – whether you are an amateur or professional rugby player – and it is important to maintain perspective, determination and perseverance in these times of hardship. One person that I highly admire is England International Fiona Pocock, who is blogs for this website (check out here articles here). 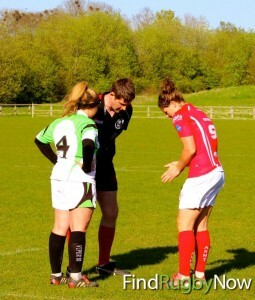 Fiona fought back from not just one but two career-threatening injuries which started from a tackle at the 2010 World Cup semi-final against Australia. Fiona missed out on two seasons after fracturing her knee at the 2010 World Cup and rupturing her anterior cruciate ligament on her England return in 2013. For most people this would have meant the end of their rugby career, but Fiona would not give up and applied herself to physio and strength training, and despite all odds, in March Fiona made her return to the England squad after a four years break. The self-employed personal trainer has had to do all the hard work by herself, spending every day for the last four years in the gym. “I hate the sight of the place now, and there were moments when I wondered if I could do it,” she said. “But I did – and it is something I have to continue doing daily for the rest of my playing career to make sure my knee stays strong,” Fiona said. Overcoming injuries and setbacks in rugby helps to make us into stronger people – both on and off the pitch – and it helps us realize that with a lot of hard work and determination anything is possible. This of course does not mean that there are not gut wrenching situations where people’s rugby careers are cut short, or even worse, serious injuries lead to life changing effect as seen with Matt Hampson. However, I think that if we dedicate ourselves to recovery and treat our injuries with professionalism to the best of our ability we can maximize the results. 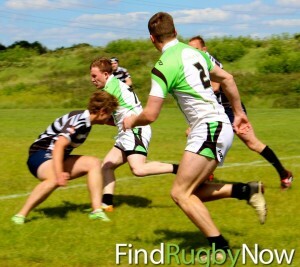 Do you think that there is benefit in seeing rugby as a career on an amateur level?